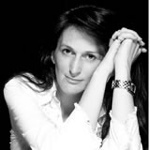 When I was first introduced to this book I was very impressed at the way Laura James approached the concept of mental health problems , an angle so inventive that it avoided the stigma so often associated with disorders such as schizophrenia, addictions, histrionics and ADHD to name just a few. I found her case studies witty and amusing revealing many mental health issues that trouble my clients enabling me to provide them with metaphors that they could relate to. Fairy tales are often used in many cultures to help children grown up with a set of values/morals that help them navigate this very difficult world. Likewise it is my belief that Laura James’ book Tigger on the Couch allows adults to circumvent the pitfalls that life puts before us. I often tell my clients their life is a screenplay as them as the star and it is the leading man or lady complete with flaws and problems that are not only interesting but that we can learn a lot from. 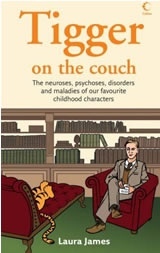 To emphasise this point I find myself recounting some of the case studies in Laura James’ book Tigger on the Couch to which I have had very successful responses. Without going into too much detail as I really think this book is useful to all whether it is understanding yourself, your friends, your colleagues or even your partner, I have chosen a few of my favourite stories from the book to share with you. One of my favourite books is Winnie the Pooh by AA Milne and who can not fall in love with Tigger with his continual excitability bouncing around in fantastically fun interaction with a large variety of people. 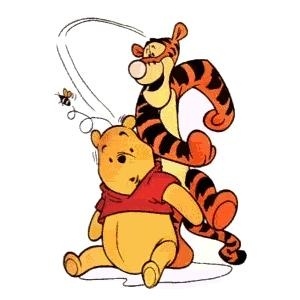 However on a closer psychological analysis as Laura James points put, Tigger’s constant bouncing, running, climbing, fidsgeting and overall hyperactivity not to mention his irresponsible attitude which results not only in consequences for himself but for his friends is a clear sugn of Attention Deficit Hyperactive Disorder most likely of the Impulsive type. For example, Tigger often arrives at Pooh’s house in the middle of the night unable to control his impulses. This type of behaviour reeks of a disordered individual as someone without Tigger’s disorder would have known it is more appropriate to visit during the day or call first. Tigger also makes bold statements, impulsively claims whatever food he is offered is his favourite, gulping down large mouthfuls only to find he doesn’t like it at all. Add to that Tigger’s poor impulse control which he often exhibits by the belief he can do anything having no sense of fear or responsibility. ADHD is generally managed with behavioural therapy and/or medication however using Tigger as an example to patients with ADHD shows that even the most annoying of habits can be managed under and are lovable qualities as is Tigger. Another favourite character of mine is Cinderella, although her early life was happily spent with her parents after her mother’s tragic death and her father remarrying the most awful of step-mothers with two evil step-sisters to boot it was no surprise that Cinderella began to lead a life needing to please everyone but herself. This sis very common in SF (Sensory-Feeling) typology however we have little detail on Cinderella’s MBTI data. Either way using Laura James’ analysis or my suggestion of SF typology, it is very clear that Cinderella has lost touch with her own emotions and thus suffers from Approval Addiction. Although Cinderella took her step-mother’s rejection hard, more often than not in situations like this the Approval Addicted client if more upset that her blood relative (in this case her father) did not protect her therefore allowing her to be treated in an abusive manner. Until the point where Cinderella meets her prince (i.e. has contact outside the family unit) she has yet to build up the self-esteem to confront her step-mother with reference to the unfairness of the situation. 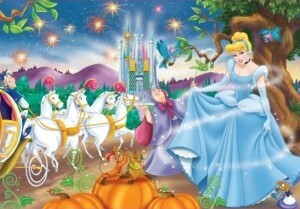 Although more often than not Cinderella is seen as the epitome of a love story, from a psychologist’s perspective all she has done is create a drama triangle where she continues to play the role of the victim casting her step-mother in the role of villan and putting her prince on a pedestal in the role of rescuer. This pattern is often seen in people with low self-esteem and/or children who develop coping strategies to enable order and peace in the household by ensuring they please everyone. In playing such a game it is impossible not to lose one’s self. Using Cinderella as an example to clients, it enables the therapist to help the Approval Addicted client to set up firm boundaries for themselves and others, confronting any issues that surface, making peace with the past and moving on. Laura James also talks about other fairy tale favourites such as Alice in Wonderland, Peter Pan, the Wizard of Oz, Goldilocks, Pippi Longstocking and Willy Wonka to name just a few. One of my favourite parts of the book is the checklist/exercise at the back of each section which allows you to work out which character you are most like and in theory which personality disorder you are more likely to have, if any. Although the checklists are fun I would urge anyone to make sure any disorder was properly diagnosed by a psychologist or psychiatrist before any attempt at self medicating. Having said that, this book is a fantastic read. Its witty case studies really help you understand yourself and others and I highly recommend it. Tagged books, fairy tale, Sloan Sheridan Williams. Bookmark the permalink.